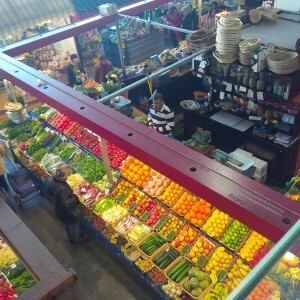 Kleinmarkthalle (Frankfurt, Germany) – An enclosed, venerated market with perfect rows of fruits and vegetables, nestled amid brand new skyscrapers and the oldest square in the city. 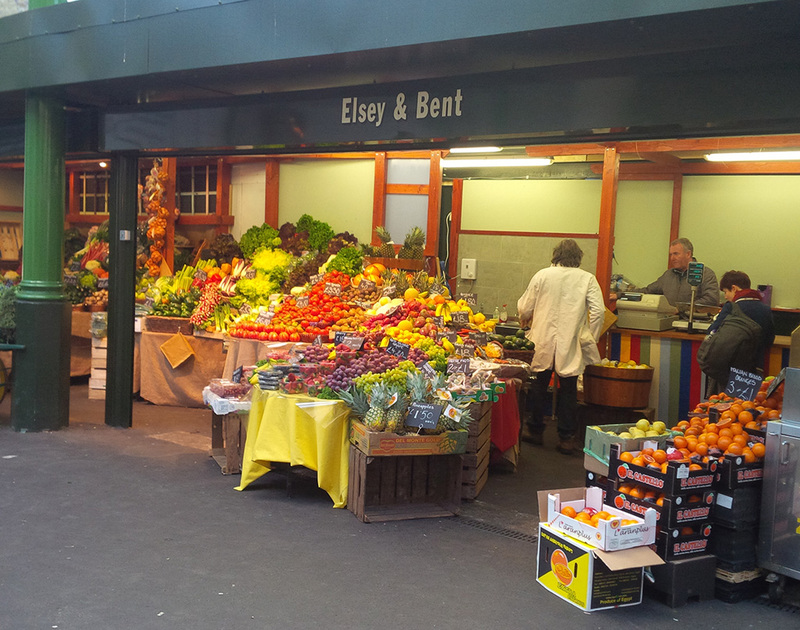 Boroughs Market (London, England) – A newly rejuvenated marketed in the latest trendy London area south of the Thames near the New Tate Gallery – an epicurean paradise – with traditional foods (meats, veggies, fruits, meat pies, artisan cheese) and also the more exotic (Thai spices, Russian/Balkan delicacies, Indian stews). 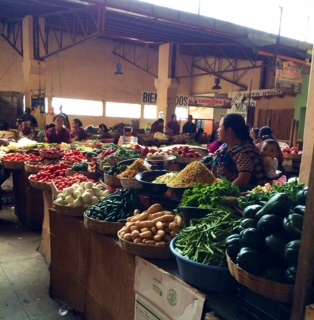 Quetzaltenagno (Guatemala) – The city ‘Xela,’ shorten by the locals, is the second largest in the country. 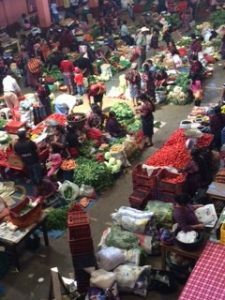 We found markets full of women vendors selling peppers, tomatoes and flours for their local salsa picante or a Mayan dish of chicken stew called chicken pepian. 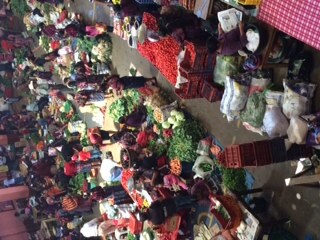 Market at Chichicastenengo (Guatemala) – Chichi has a market each day, but the biggest market is on Thursdays and Sundays when farmers spread out their wares for sale. 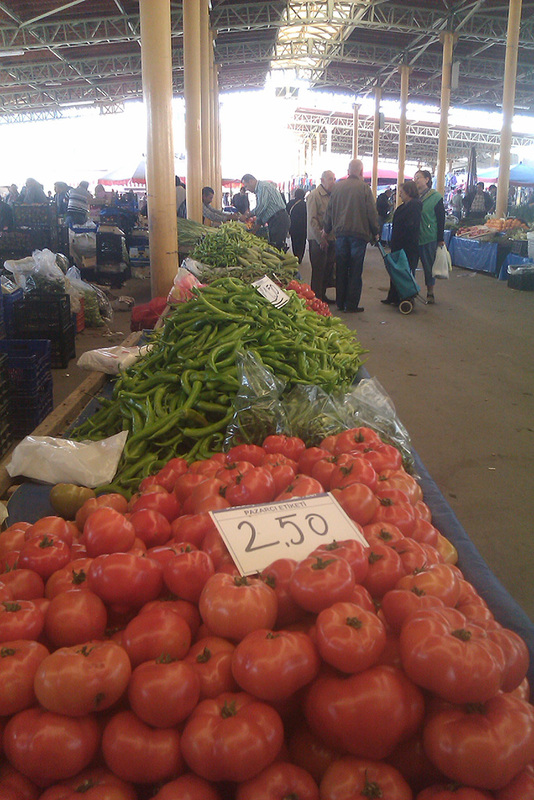 In addition to fruits, meat, fish and vegetables you can find live animals and beautiful woven fabrics. 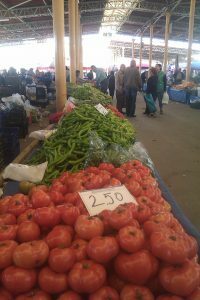 Kusadasi Market (Turkey) – The market in Kusadasi, near Ephesus, was one in which we shopped for ingredients for our own culinary efforts and we loved both the shopping experience and the results. San Pedro (Cote d’Ivoire) — Where 40 percent of the world’s cocoa comes from — yet you won’t find a trace of cocoa in the local markets. 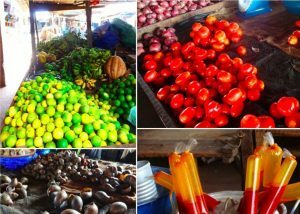 Instead, avocados, plantains, tomatoes, unrefined palm oil for cooking and even enormous live snails are for the taking.